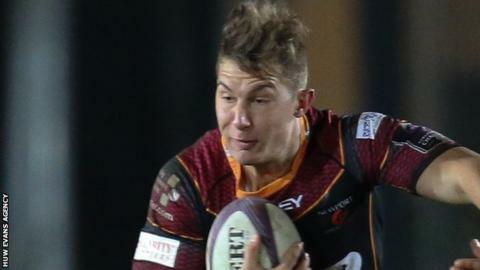 Newport Gwent Dragons full-back Carl Meyer has been cleared to resume playing after his citing was dismissed. Meyer was cited for an alleged shoulder charge against in Dragons' 15-17 defeat to Ulster on Friday. The 24-year-old was cleared of any wrongdoing after he appeared before an independent Pro 12 disciplinary committee on Tuesday. The South African is free to play against Connacht in the Pro 12 at Rodney Paradd on Thursday. Meyer did not accept that he had committed foul play and said that the collision had been accidental. The committee found that, while it perfectly understood why the citing complaint had been made, it could not be satisfied that the player's actions constituted foul play and therefore it would not be upheld.